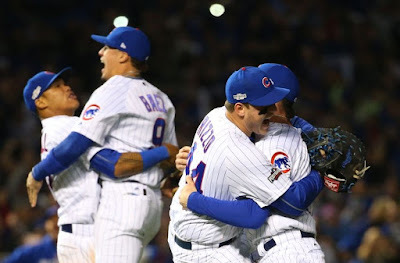 MW Mobile Blog: On the Cubs, World Series, and moving from... Tinkers to Evers to Chance - to - Russell to Baez to Rizzo. Russell to Baez to Rizzo. Today the Cubs play the first game of the World Series. I'll spare the reader the usual tales of woe endemic to lifelong Cubs fan. You can find that elsewhere on this blog. Today we celebrate. Regardless of how this series turns out, regardless of whether the Cubs win the World Series in four games or five, today we enjoy the moment. I can finally say I saw the Cubs win the pennant and play in a World Series in my lifetime. This is an emotional moment for all loyal Cub fans we react in different ways. We all cheer. Bill Murray cried. I have been moved to verse. I'll get to that in a moment, but first, for context, a look back. We've all heard, ad nauseum, about the 108 years of frustration and futility since the last Cubs championship in 1908. 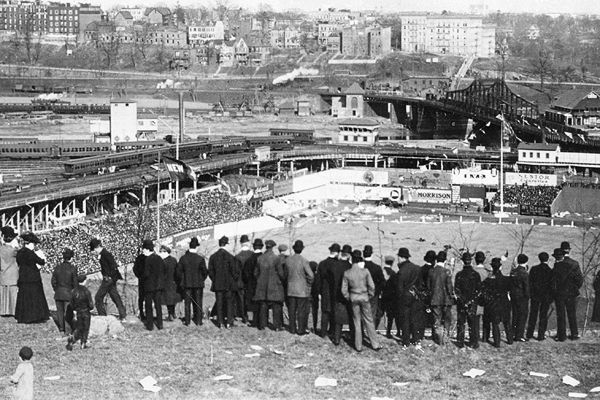 That Chicago Cub team and the infamous 1908 pennant run against the New York Giants are legendary in baseball lore. 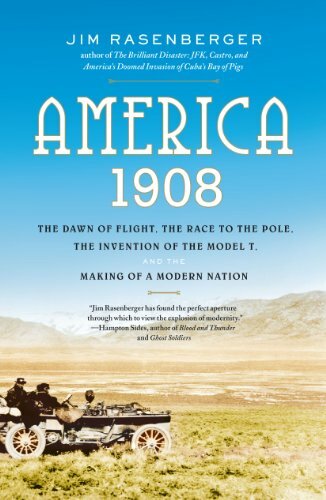 It rated a full chapter in Jim Rasenberger's book "America 1908", right alongside Henry Ford rolling out the first Model T, Robert Peary's race to the pole, and the Wright brothers' historic flight at Kitty Hawk. 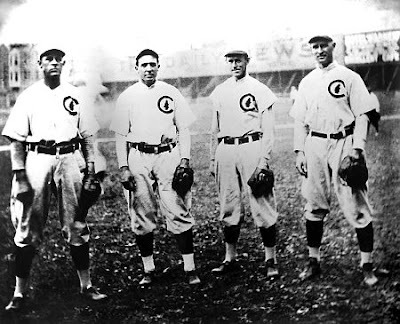 The 1908 Cubs were a championship team playing in a series that inspired some of the most colorful names and notorious events in the history of the game. Among the players - Christy "Big Six" Mathewson, Mordecai "Three Finger" Brown, Fred "Bonehead" Merkle, and of course the legendary Cubs infield of Tinker, Evers and Chance. Unfortunately, this ode to the double-play left out Steinfeldt, who by the numbers has as much of a right to the Hall of Fame as Tinker or Evers. 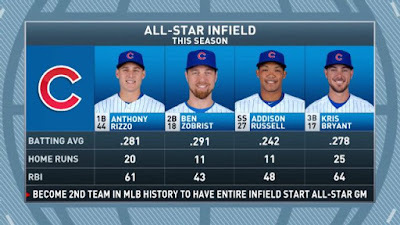 Baseball-statistics.com lists the 1908 Cubs infield as the second best in league history..."
... I decided it's time to update the most famous baseball stanza ever. "Russell to Baez to Rizzo." Baez to Zobrist to Rizzo. "Russell to Baez to Bryant." How about a 2017 update? April 10, 2017 - Home Opener / Raise the Banner. "Baez to Russell to Rizzo."